The first time I watched a box lacrosse game live was when I got to cheer on the Georgia Swarm. Before then, I’d always been curious about playing box lacrosse, though I hadn’t come across any box leagues for women in my city in Maryland. I’d played many indoor lacrosse games, but they were regular games played in arenas with the same rules as outdoors. It was fun, but seeing highlight videos and posts of the guys playing real box/indoor lacrosse piqued my interest! 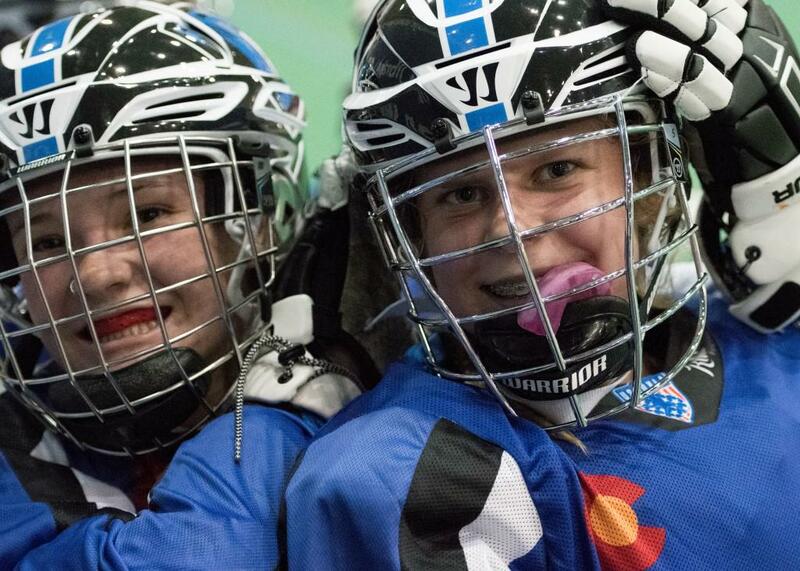 So, when USBOXLA reached out to me to come and do some coverage on the girls division at Nationals, a division that they are pioneers of here in the United States, I couldn’t say no! The first day of the girls division events during the tournament was an absolute blast. I got to take part in a clinic catered both to beginners and experienced players, learning from Dan and Danita Stroup (yes, that Danita! The one who absolutely crushed it at Northwestern). This being my first time playing box, I couldn’t wait to put on my equipment and get to playing! USBOXLA really stresses the importance of safe play with great foundation, so we warmed up for the day by doing different stick skill and shooting drills to make sure we had good understanding of the skills necessary to be successful in play. Though throwing and catching wasn’t too different with a men’s stick than with my usual sticks, using gloves took a bit of time to get used to, and so did wearing a full helmet since I hadn’t rocked a helmet since my days as a field hockey goalie. Once our sticks were warm, we put on full gear and began working on offense and defense. I always brag about how it’s hard for me to bruise, but boy did my left arm have a few bruises! With focus on good footwork and body positioning, it took hard work to get past the talented defenders I went up against and defending the offensive players too. These skills translated pretty easily from my field lacrosse experience, though I had to be even more aware of spacing since box is played in a much more enclosed space. Overall, the clinic was a fantastic way to be introduced to the game and I was pleased with how all the young women at the clinic cheered each other on while still being fierce competitors. After all, tomorrow everyone would be on their respective teams competing for the gold! After a long and fun day of learning how to play box, I couldn’t wait to sip a nice iced mocha and prepare to watch the tournament the next day! The tournament included girls and boys from around the United States and Canada, and I was amazed at how many people filled the arenas to cheer on their teams! Parents and fans were involved in cheering and explained the game to others when questions came up. I got to speak with many players while walking around and especially during the clinic, and interestingly enough there were a few girls and boys that only play box lacrosse and had never played field before, and some that played both. Though box lacrosse is quite different from the field game, those that play both echoed how skills from either game translated and helped them be the best players they could be. The biggest takeaway I have from my day of playing is that playing in a smaller space with defenders who can quickly approach you makes you play faster! The ball can’t stay in your stick for too long and communicating with your teammates is even more important. In an even better turn of events, a group of women from the field women’s lacrosse team I am part of in Atlanta are working to put together a women’s box league! When I saw the post, I immediately said yes. 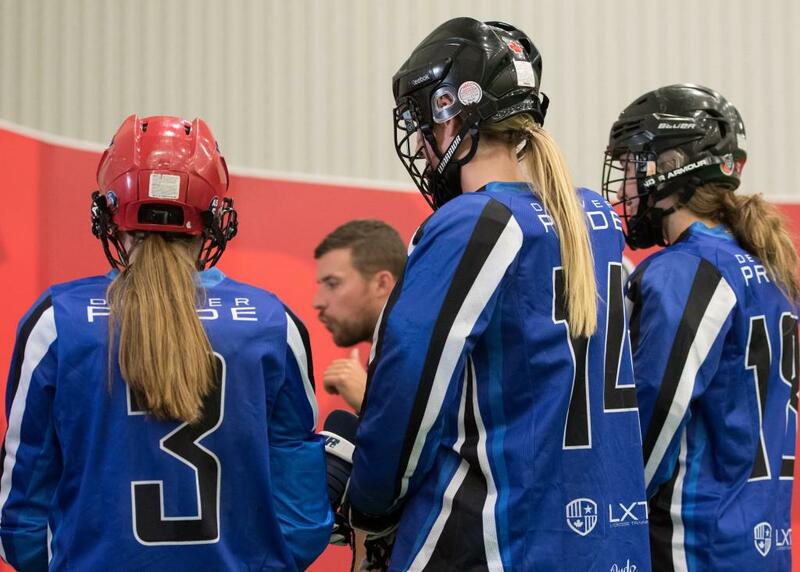 Though I am a newbie to box, having learned the game from some of the best and watching really great teams play, I am excited to grow my skills and show other women in my area that lacrosse, and especially box lacrosse, truly is for everyone. Be sure to follow me on Twitter and Instagram for more lacrosse adventures, as I’m just getting started!